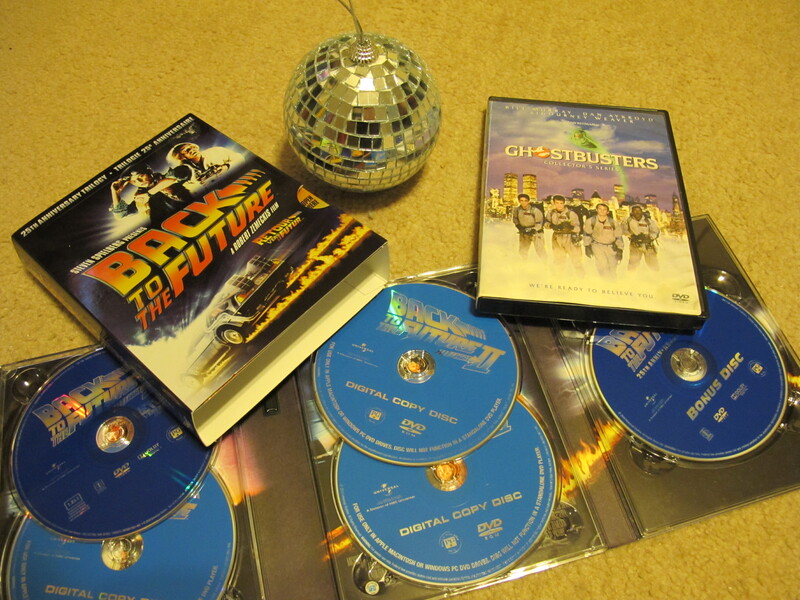 100 things to do in 1000 days; #34/50, 51: Watch Back to the Future and Ghostbusters. Best New Year Celebration Ever, or what? We baked a cake, watched Ghostbusters and Back to the Future, and drank fizzy grape juice as the ball dropped. Also there was Mary Poppins and a failed LaserQuest run, but you can’t have everything. Also, those things happened in 2011. 2012 is going to be amazing. Anyway, so as for Ghostbusters – enjoyed it the whole way through, wouldn’t necessarily watch it again. I laughed out loud several times (Stay Puft Marshmallow Man, obviously; Louis’s smile and random handing of things to people; how big of a jackass Bill Murray is), but overall, it won’t go on my list of classics. The rankings? Back to the Future 1, then 3, then Ghostbusters, then 2. My ’80s education is nearly complete – I still need to watch most of the John Hughes collection, though. And Ghostbusters 2, I guess. *Funny story about BttF: we went to Rogers to rent the first of each series, but they only had the third Back to the Future. The whole 25th Anniversary trilogy was on sale there, though, so I bought that and hoped it would be worth it. I am very happy to say that it was. Okay, “funny” may have been overstating it.